A Wisconsin woman described in reports as “drunk” and “yelling profanity” is accused of bursting into a meeting she thought was a Trump rally to yell about Donald Trump. When she was asked to leave, she allegedly used peanut butter to smear “phallic symbols” and curse words on several vehicles. Funny, I don’t remember being in Wisconsin? 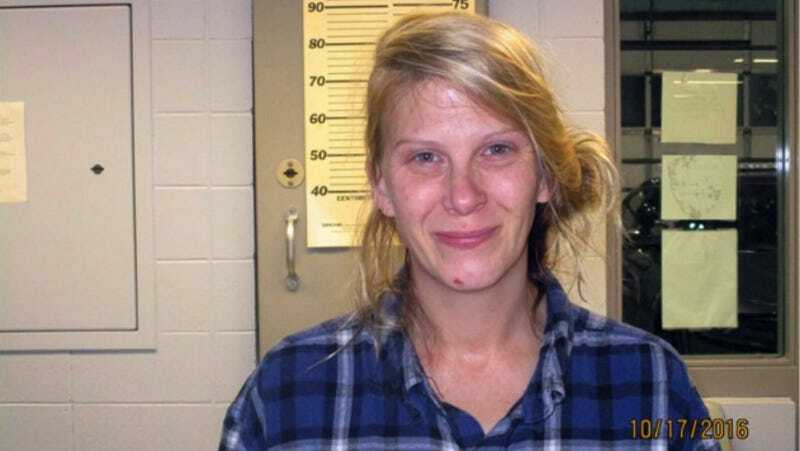 WSAW reports that Christina Ferguson, 32, will be charged with disorderly conduct for smearing peanut butter on 30 vehicles outside what turned out to be the meeting of a local conservation group. Which sounds like a lot of dicks drawn in perfectly usable and delicious peanut butter, but is also, frankly, a natural reaction to the worst election in the history of human civilization. She also said she’d been “terrorized” by people who support Donald Trump. “Peanut buttering is better than firebombing, and Trump plans on firebombing everybody in other countries,” she said, according to the complaint. The rest of us have to make it 17 more days with peanut buttering anything, but I will understand if not everybody gets there.